Plantronics Voyager 8200 UC in depth, Now with video! 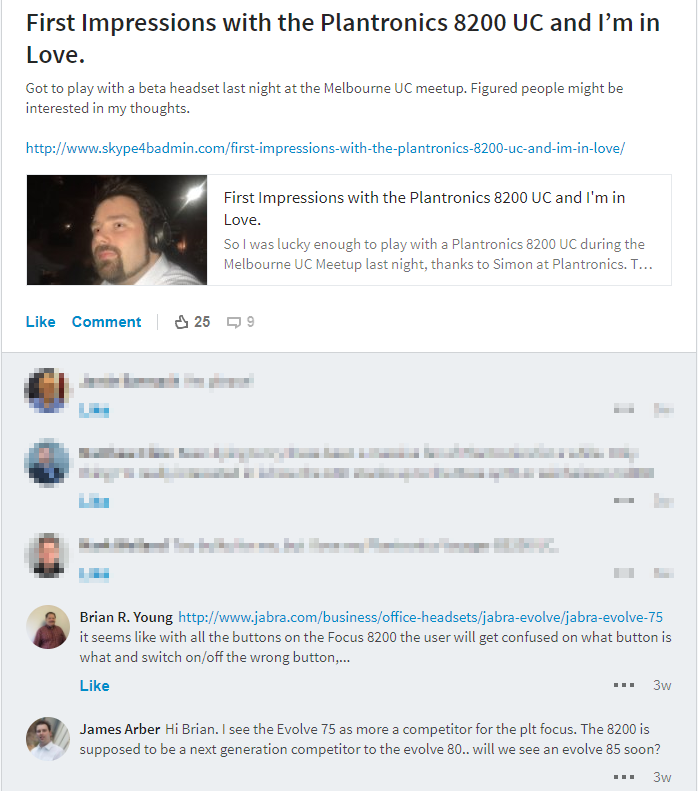 First off, Wow, It seems like my initial first impressions with the Plantronics Voyager 8200 were extremely popular, it’s also sparked some interesting conversation from a competing vendor who seem to have been caught off guard and wont answer my questions. I’ve reached out to multiple Jabra contacts looking to see if they have a direct competitor in the works with no answer and I personally don’t know anyone at Bose to talk with so at this point we have to review these on their own. Cmon guys, Competition is what makes everything great! Now being as transparent as I can. I haven’t received any compensation or incentive for this review. 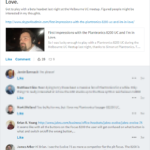 I do however personally use a Plantronics Focus UC as my daily driver and would like to think I’m being as unbiased as possible in these reviews. As unbiased as a human can be anyway. In saying that, I do make a lot of comparisons between the 8200 and the Focus, although I’m not going to complain if Plantronics send me a unit for long term review. My review unit was one of only two in the country at the time and was obviously a development unit used by internal Plantronics staff. As such I did experience some software bugs that I’d expect to be ironed out by release. So the all-important part is what they sound like. If you have seen any of my other reviews, you know how much I hate using vague words to describe audio performance, but unfortunately the way we measure these things is very emotive. I ran these through my usual tests of songs I used to tune stereos to and I’m very happy to report they sound incredible. Low end frequencies are perfect with very little fall off to the lower end of the spectrum in comparison to the Focus without sounding oversaturated and boomy, a common issue on cheaper can style headphones and something completely lacking on its nearest competitor the Jabra Evolve 80. Bass tones were perceivable down into the 20hertz range and the drivers can generate enough pressure to play tricks with your head. The full cans also help any “noise bleed” when you’re getting a bit excited with the volume as to not disturb co-workers. For those wondering, I also tried these with Windows Sonic for Headphones and they worked quite well with that. But not having any reference on this, I’m excluding that from the review. Having used the Focus UC as my daily driver for so long, the control layout of these is very familiar. Whilst all the switches and buttons are easy enough to find, the Volume control can be difficult to locate and use despite it being textured. There is a bump on the left can to locate your finger in the correct place, like the F and J home keys on your keyboard. 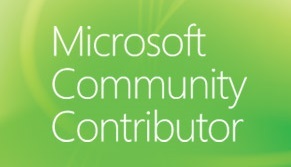 But there is very little feedback when moving the control. I’d recommend enabling Volume Tones in Plantronics Hub to provide some audible feedback and help with this. The Mute/Open Mic button is in a much better location when compared with the Focus. Gone are the days of everyone hearing you fumbling for the mute button on the mic boom. The button is perfectly placed for your thumb on the right can and can be activated quite simply whilst on a call, or for the Open Mic function. I think someone took onboard my comments about the LED indicators for battery charge and “in use” indicators on the focus as they have improved dramatically on the Voyager 8200. These are now nice and very noticeable from another side of the room… if you’re looking at the right headphone anyway. When paired with my Samsung S8 via Bluetooth, performance is great. No compression artefacts or stuttering, I did notice about a .5 to 1 second latency with input audio, but nothing you would notice in day to day operation. Using the included BT600 USB dongle, the latency is almost imperceivable with no quality issues to speak of. Whats this… Bluetooth and a 3.5mm jack? I can have my cake and eat it too? Almost. These were so close to being the one headset to rule them all. But the 3.5mm connector is only a TRS style instead of TRRS. Meaning no CITA/Microphone support. This isn’t an issue until you realise that connecting a 3.5 mm lead the device deactivates Bluetooth ENTIRELY! Dropping its connection with your Mobile and the BT600 dongle connected to your PC! 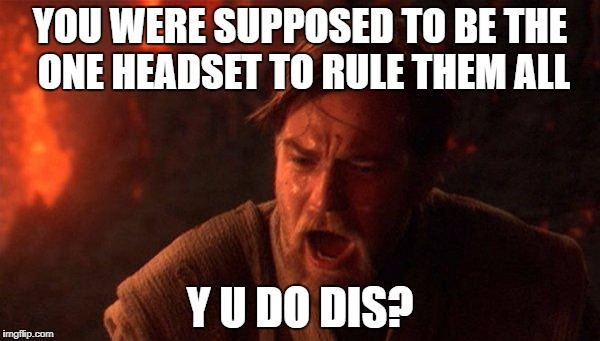 This is my major complaint with these headphones. Many laptops and tablets support the CITA headphone standard used by mobile phones as a microphone input these days and disadvantage here is if you plug the headphones into your Mobile, you wont get notifications from your PC and if you answer your call on your mobile, the microphones on the 8200 wont be used. Forget plugging them in to one of those “silent presentations” and still getting mobile calls. 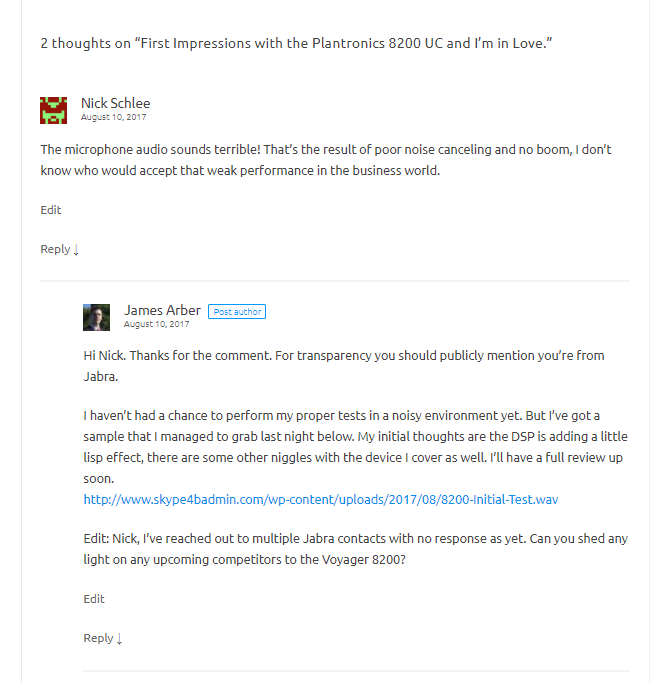 I really do hope this is something that Plantronics can address in software. Even if they can’t keep the A2DP connection going for music. Keep the Bluetooth Headset profile active to the BT600 and mobile calling or perhaps we will see a version in the near future with CITA/TRRS support. The good news is the 3.5mm input is still passed through the DSP to allow for good noise cancelling so you can totally use these on a plane. Especially with the dual noise cancelling levels. As the DSP is involved the volume controls on the headphones themselves work, but you should however maximise the volume on the 3.5mm source to prevent it sounding muddy. As usual with Plantronics devices and unlike their Jabra cousins, the USB connection on the device is purely for charging and firmware updates. There is no option to connect the headset via USB if there are issues with the 2.4 ghz spectrum in the area, you could of course opt for the 3.5mm if you don’t need to use the microphone. The included usb charging lead isn’t long enough to use whilst wearing and unlike the Evolve 80’s there is no support for charging over the 3.5mm jack. The thing to note is as the DSP is used for audio on the 3.5mm jack (even when ANC is off), meaning that if the headphones do go flat. You cant bypass with the 3.5mm for even just audio. This is where I’m happy to say these smash everything else out of the water. Let’s break this down. There are 2 types of noise cancelation here and its important we understand the difference between each. This is using the devices microphones and the builtin DSP to play an inverted version of background noise. This makes it so you don’t hear background noise like background conversations, the hum of an airplane engine or even a crowded area whilst wearing the headphones. The ANC on the Voyager 8200 comes in 3 flavours. Disabled which just uses the passive noise cancelling of the ear cups. Medium which is ideal for an office situation, it blocks out most sounds whilst still letting you pick when someone is trying to speak to you and High which when activated blocks out almost all external sound. I can’t compare it to anything like a high end pair of dedicated noise cancelling headphones. But these definitely have the best ANC in a UC headset presently. The Plantronics Hub app also allows you to customise the Sidetone of your own voice which the amount of voice fed back into the headphones for you to hear, this helps prevent you from shouting in an effort to hear yourself. This is accomplished using an array 4 of microphones and a signal processing trick known as BeamForming to only receive audio from a certain direction. We have been using this trick in the radio industry for years. The short version is that the sound arrives as each microphone at a slightly different time. The DSP knows what the different times should be and only selects sounds that meet this criteria. The Voyager 8200 uses this to only select audio from a small area just in front of your mouth. I was initially sceptical of how well this could work until I tested them during my first impressions review and was surprised. Obviously then I had to know I’d figure how far I could push it. Below is some quick footage taken from an assortment of my Mobile with its built-in mic, my laptops built in mic and the mic array in the 8200 UC. You can clearly make out my speech in each of the clips using the 8200 with the exclusion of the last one, which you cant hear me in from my mobile either. This was in a crowded dining hall with 100s of people having conversations in the background. I am planning to go back to the same location and see how solutions like the Focus UC and Evolve 80/65 cope with a similar situation, so stay tuned! Excuse the camera wobbling etc. I didn’t have my camera setup with me. I will say that the BeamForming logic can most definitely introduce what sounds like compression from the DSP but this is the Beamforming algorithm doing its best in a noisy environment. Here they are in a normal quiet environment, and whilst these aren’t studio mic quality or even as good as the Mic on the Evolve 80’s they are definitely more than adequate for Skype calls and conferences. With an expected street price of approx. $500 AUD these come in at the sweet spot for decent full can noise cancelling headphones. Competing directly with products like the Bose QuietComfort 35’s yet offering features needed to use them for any unified communications platform such as Skype4B or Microsoft Teams. I am curious if you would try putting your hand cupped in front of your face when in the noisy environments? I started using that trick with shorter headsets with no boom (like Jabra) to really improve their ability to pick up my voice and still be able to speak in my normal voice volume. I actually recorded testing a whole bunch of headsets in that extreme environment yesterday. Even had security come up and ask what the camera is for.. I didn’t try doing my hands though as a headset should *just work* keep in mind that no one in their sane mind would attempt to join a call whilst in that food court. I’m actually very curious about this headset as I often join in calls from rather noise environments (on shuttle buses, airports, open areas). I am currently using the Plantronics 5200 UC and it works very well. My voice comes across very clearly but I have to strain to hear and my volume is close to maximum most of the time. In addition, I wonder how the NC compares to the Bose QC35. 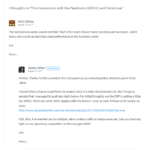 Hi James, thanks for your first impressions and the audio samples. I’ve been using Voyager Legend since it’s launch and now planning to get the 5200 and also this 8200 when it is available in Australia. My main usage will be business calls from my home office and ANC during air travels. I am a bit discouraged by the DSP of the mic input even in quiet environment – the audio is simply not natural sounding. Hope they realize that this is a genuine problem and fix it. I may go for the Backbeat 505 in the meantime. I too notice the DSP effect in the last test, However that was still quite noisy. Its a lot better in a quiet environment, but still there. I have a production unit turning up next week. Lets see if the issue still exists. My new ones should be turning up this week, along with a Jabra Evolve 75.. Let the battle begin! I would say though that if your looking for pure quality and have no background noise the evolve 80 mic is really good. I’d love to see a wireless version of those. As soon as my 75 review unit turns up, I’ll let you know. James did you ever test the 75 and compare it? I’ve had a pair of 75e’s (earbud) “on the way” since last year. But one of the guys here has a 75 (headphone) and he likes it. From what I’ve seen they seem like a good headset! My only concern is the USB port on the dock, but that’s what warranty is for anyway right? Did you ever compare the Evolve 75 and Voyager 8200 UC? This comparison is something I’m VERY interested in. Appreciate the detailed review on 8200 as there are not much info available online for this model. Do you have any info on the retail price and availability of 8200 UC? The official plantronics site says $380. But these are available from few authorized dealers for $270. So not sure about the actual selling retail price. Sorry I only really have the pricing in Australia but the RRP is usually the way to go. Be wary of some of the “box shippers” that quite really cheap headset prices. They will quite happily sell you a headset. But if you ever need to warranty it or get assistance making it work with a particular headset they will evaporate. Not an issue if you’re just buying one for yourself. But if you’re doing a proper Skype deployment stick with your partner. Thanks. I have got the quotation from one of the authorized distributor for my region. I’ll be getting one very soon. It seems the 8200 UC attempts to solve these problems, but the main drawback seems to be the mic distortion caused by the absence of a physical boom. One other product that looks like a direct competitor is the Sennheiser MB660. Perhaps you can get your hands on one for a direct comparison? I’d be especially interested to know if the touchpad mute feature is usable, and whether the sound quality of the Sennheiser is able to meet or exceed the Plantronics models for voip calls. (Both listening and speaking.) I’d also be curious to know if the wireless range (when using a dongle to a PC) of the Sennheiser can compete with the either the Voyager Focus or the 8200. Which brings me to another question… how is the wireless range of the 8200 when using the USB dongle? I find the Voyager Focus is better than most other headsets, but in my environment buzzing with 2.4 GHz signals it doesn’t achieve the claimed 98 feet, even in “extended range mode”. But if the 8200 is as good as the Focus, then I suppose that’s all I can ask. The 8200’s usb dongle is the same as the one included with the FocusUC so expect similar range. I make it out to my car through a concrete wall before it becomes an issue with music. not sure about calls but I walk around our office constantly with no issue. That and I sit next to a Ubuquity UAP-PRO at home so 2.4ghz noise seems to be fine. As for the MB660 I spoke with Sennheiser at Ignite and they seemed positive to lend me a review unit. But I haven’t heard back from them yet but will follow them up. Next cabs off the rank for me is the Jabra Speak 710 and the 810 as well as the Plan*ahem* Polycom VoxBox as well as a bunch of other scripts I’m working on. I’ve been testing the Plantronics 8200 side by side with the Bose QC35ii. It would seem I have a bit of a dilemma, the Bose are fantastic with noise suppression both passive and active. The sound from the Bose to my ear (playing some laid back Isley Brother ‘Summer Breeze’) is good if a little flat. The Plantronics in comparison gets no where near for noise reduction passive or active. To be honest after using the Bose I thought the Plantronics were faulty so I got another pair. Sound wise I think the Plantronics are a little more dynamic and I much prefer them. However when it comes to using them for voice, the Plantronics are miles ahead for clarity in both directions incoming calls are clear and outgoing your voice is well isolated from background noise. The person I called from my busy office mentioned how good they were before I asked. So in essence, if we say the use case spectrum goes from business use to listening to music in fairly quiet environs you will need to decide where on that spectrum you sit most of the time and what you find more important. If you travel often on any public transport and value quiet above all else then the Bose QC35mk2 are going to be extremely hard to beat. If you are constantly on business calls from noisy places (like public transport hubs) then the Plantronics will make sure that you hear and are heard clearly. Me, I’m smack bam in the middle. I love how isolated I can be when wearing the Bose, hardly a peep can get through, however when on a call it’s not so good and I have to raise the volume of my voice. The Plantronics when on a call is perfect but when travelling too much noise gets through. 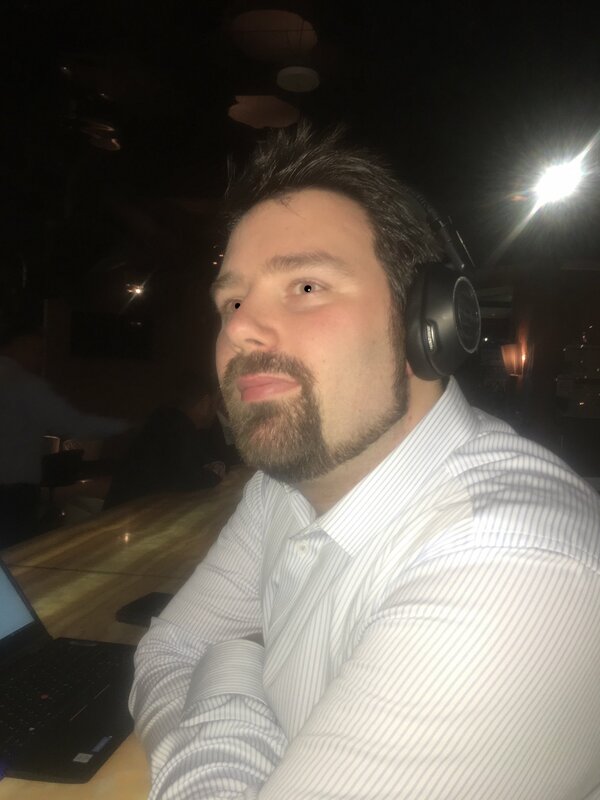 Oh and comfort wise I think the Bose just about shades it as they feel lighter and have softer cushioning, thinking about it that is probably what makes the passive noise cancelling better. Which one will I keep? I had decided on the Plantronics, but just put on the Bose while in front of the tv and that silence is golden, but then played some more Isley Brothers and the Plantronics are sweet. No way can I afford both. I have no idea which to go for as I know I will have regrets no matter which one I pick. I’ll be stuck in an airport with screaming kids and wish I had the Bose to block them out only to get an urgent call and wish I had the Plantronics when the caller can’t hear me above those very same kids. Wow. thanks for such detailed comments. I personally have Tinnitus from my years of fitting big car stereos for a living in my youth. So silence is one of the few things that his hard for me to gauge. In saying that my Bose rep has yet to get back to me despite saying the opposite at Ignite 2017. I’d be interested in pitting the noise cancelling of the Evolve 80 and the 8200 to see how much noise they reject.. maybe its time to build a headphone testing rig? 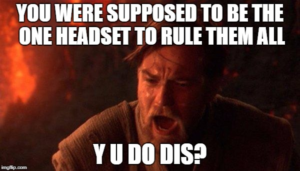 But as for which headset to choose? I’m distracted easily so headphones are on my head playing music 80/90% of the time in the office thus I personally take sound quality over pure noise rejection but your mileage may vary. I’m French sorry for the translation. I am looking for a helmet with a better active reduction than the evolve80 jabra. The Bose QC35 is not possible because the microphone is bad. What is the best for noise reduction between the 8200 UC and the Jabra Evolve 80? I tested the MB660 very disappointed the microphone people heard me badly. I have not yet seen a good comparison test with the jabra evolve 75 against the 80. As you can see in the video’s I posted the mic on the 8200 is great. I still think the noise canceling on the Evolve 80s is slightly better than the 8200s in some circumstances and the mic works great as its right in front of your mouth. I really like your blog and your tests. Jabra are not going to come out a better? The jabra evolve 80 to 4 years. because the jabra evolve 75 is less good because the active reduction is less good. I had a bose qc35 but the microphone is not good? we can not put a microphone on a qc35? I also tested the MB660 but the microphone is very bad voice compressing metalic. I’d love to be able to say a replacement to the Evolve 80 is on its way, but if they are working on one, they aren’t telling me about it just yet. But if we take a look at what Jabra has been doing recently with the updates to their existing devices with the 710, 75 and now the 75e (my review unit is on its way) as well as pressure from some other products. I think its safe to assume that an “85” or “80e” would be in the works. Thanks for the feedback, it really helps keep me motivated to bring good quality content. It takes /alot/ of time. afin d’avoir le meilleur anc ?